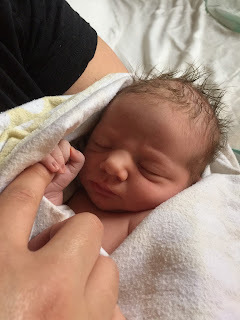 Bless Our Hearts: He Is Here! So for the next hour or so we all texted back and forth and I thought I'd make soup and then I got the feeling that she wanted me to come on over and maybe Boppy could come and get August? So. Off we went in separate cars to town and when we got there, Jessie was cleaning up from the pancakes and August was running around and Vergil was tidying a few things here and there and this is what Jessie looked like at 10:18 a.m.
She was actually having a contraction in that picture but obviously, it wasn't a hugely difficult one. Boppy and August settled in to read books. I started cooking the chicken in Jessie's kitchen. May was trying to get someone in to cover her at work and Lily was waiting for Jason to be done with a dentist appointment so that he could take Maggie and so for a while it was just the five of us, hanging out and I kept listening to Jessie and I could tell that her contractions were coming on fast and were getting harder. Jessie had talked to Diana, the midwife, and she had an 11:30 appointment and was going to come by after that but I thought that Jessie ought to just let her know that she needed to come on now and so Diana changed her plans and called her students who would assist her to come on too and they got there in a little while. Diana listened to Jessie having one contraction and agreed with me that it was not going to be that long. The ladies set up all of their equipment and May got there and then Lily got there and Boppy took August off to play at a playground and go have lunch and before you know it, Jessie was honest-to-god ready to have that baby and she pushed for about 2 minutes (and I am not kidding you) and out came that little guy who does not have a name yet and so we can still call him King Richard although I was calling him Precious Peanut Peaches before I left the house. Jessie is just a goddess. That is all there is to it. And she and Vergil are the best team you can imagine. I actually got a video of one of Jessie's last contractions which is not meant to share with the world but I had to get a recording of the way she was singing her way through the pain. It was one of the most beautiful things I've ever heard. It is the sound of the creation and deliverance of life. It is the sound of the strength of all of the woman who have ever lived. And at 12:26, she pushed that baby out and Tanashia, the same woman who delivered Magnolia, caught him and put him on Jessie's chest. A tiny bit over two hours from Jessie cleaning up the kitchen to Jessie holding her new baby. And he is gorgeous. He wailed and cried and he turned pink as the inside of a conch shell and for that moment, the world was absolutely perfect. The boy seemed astounded that all of this had happened. Where was he? Who was he? What in the world was going on? 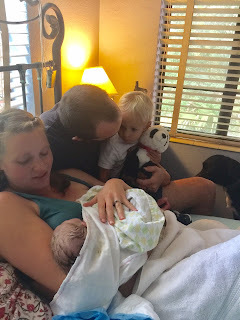 Soon enough, however, he figured out how to nurse with the ease of someone born to it (as he was because we are mammals) and then suddenly, there was Boppy and August who had just woken up from a nap in his car seat and was a bit dazed. And also, maybe confused because when he fell asleep, he'd been pretty sure that he was heading to Boppy's house with his grandfather and suddenly here he was confronting this situation which, although his parents had tried very hard to prepare him for, he was not sure about at all. What two-year old truly is prepared for a new baby? Who is that alien being suckling on HIS mama's nursies? Why IS his mama cuddling this...thing? Baby Brother was fine and good when he was still inside his mother's belly. But this? What the hell? So he mostly took the path of ignoring the baby for the most part although he did ask some questions. Mostly like, "Baby doing?" "Mama doing?" I hear that this morning, when August woke up, he got out of his crib and came into his parent's room and got in bed with them and they had a beautiful morning of snuggles with their big boy. A very special time before the baby came which Jessie and Vergil will never forget. And when Hank and Rachel got there, August did say, "Brother! Brother!" to Hank, and I'm sure that soon enough, he'll be happy to have that amazing thing- a brother. And to be one, too. We all got to hold the little boy and after his original wailing, he became very quick to calm and he looks around with big huge eyes to see what is before him, to take in as much as he can, and then to fall asleep in whosever arms are holding him. What a joy. What perfection, what glory. 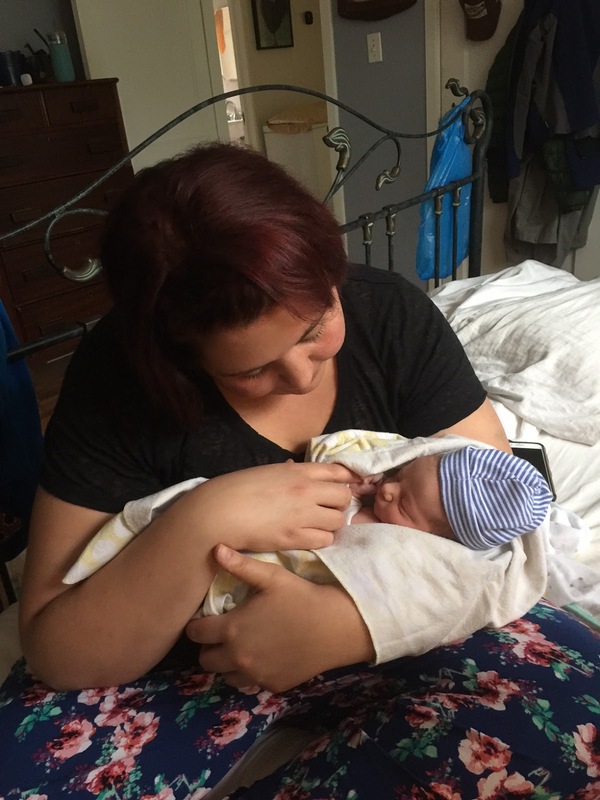 He weighed seven pounds, seven ounces, and is 21 inches long. He is perfect in all ways. He has a lot of dark hair and his eyes are blue-gray and he does and does not look like his brother. He looks like who he is. And we are all completely enchanted. For some damn reason that I can't figure out, some of the pictures that I've sent from my phone are not arriving into my email inbox which means I can't post them. Here's one more that I was able to receive. Tanasia getting a set of vitals after the birth. Oh, how I love her and Diana who have safely and beautifully helped my daughters bring four of my grandchildren into this life. Once again, I have to tell you that I am more than grateful for the fact that I and my daughters have been able to have home births. The difference between giving birth at home and giving birth in the hospital are like the difference between giving birth on earth and giving birth on the space station. Okay. That's not quite right. But. It sort of is. Instead of being hooked up to and surrounded by beeping machines and having strangers attend to you, you are at home, in your own bed, in your own environment which YOU control, where you can drink and eat what you need and want, where the people who love you can be with you and love on you, where instead of monitoring your progress by looking at a strip of paper coming out of a machine you are monitored by someone listening to the sounds you make, to the way you react to the contractions you're having, to the listening to the baby's heartbeat with ears instead of eyes, and when it's over and the baby is safely and joyously placed on your chest, you are home in your own bed and your sisters and your brother and your father and your mother and your son can all hang out there with you. Your mama can make a big pot of chicken and dumplings and you can take a shower in your own bathroom and put on your own clothes and your baby is examined on the bed where you gave birth and the cord isn't cut until you are ready. And there are enough hugs and tears and kisses to fill all of the space in your heart that a new life has created. 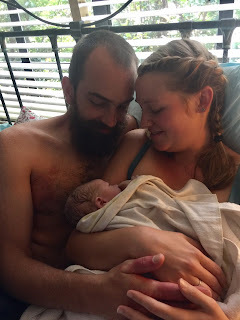 And then everyone goes away and you and the person you created this life with along with your first child can be together in the quiet and the wonder and the peace and the joy. I'll post those other pictures when I can. And I'll let you know his name when his parents decide what it is. He is here. Shove over, universe. There's a new boy in town. Smiles. Nothing but smiles reading this. So happy for you all! Thank you, Jon! We are so lucky! Thrilled beyond measure for your gorgeous rich loving family. Love. Thank you, Rebecca. I love and adore you. Thank you! 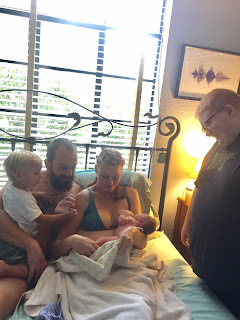 That's another thing about home birth that I love- we, as a family, get to all bond together without interference. It is holy. He is the most beautiful creature in the world, just like his cousins before him. It was the best day. And his mother and his aunts and his uncle before him. Oh, how I love our family. Aren't our birth parties the best parties imaginable? I love you so much, May. Oh, love love love, so much love. I do enjoy watching your family grow! Thank you, sweet Lora! Someday it will be your time. Congratulations to everyone! Tears of pure joy reading this. Aw...Thank you. It was a tearfully joyful day for sure. Thank you, dear Joanne! I have come to feel that you are a part of it all. All hail King Richard. Love all around and all is right with the world. Can you believe that he's here? And that this is what King Richard looks like? He is noble, that is for sure. Best news of the day! Two hour labor!! So glad for Jessie and Vergil and all of you. Thank you, thank you, sweetie. It was probably a bit more than two hours if you include all of the early contractions but Lord, it WAS fast. My girls know how to have a baby. Love and hugs back to you. And kisses. Please give my best wishes to everyone! May your new grandson have a long and happy life. That makes me so happy! Thank you, Jennifer! *happy dance* I was wondering if today was the day. I’m so excited and happy for all of you. Congratulations doesn’t seem a big enough word. I am thinking along the lines of fireworks and shooting stars. Yes! Shooting stars! The universe must be alerted to this grand event. Right? As it should be with every birth. And you were right! Thank you for the full and overflowing heart and the love and blessings. They mean so much. So beautiful and right. All blessings. It was. Absolutely. Beautiful and right. 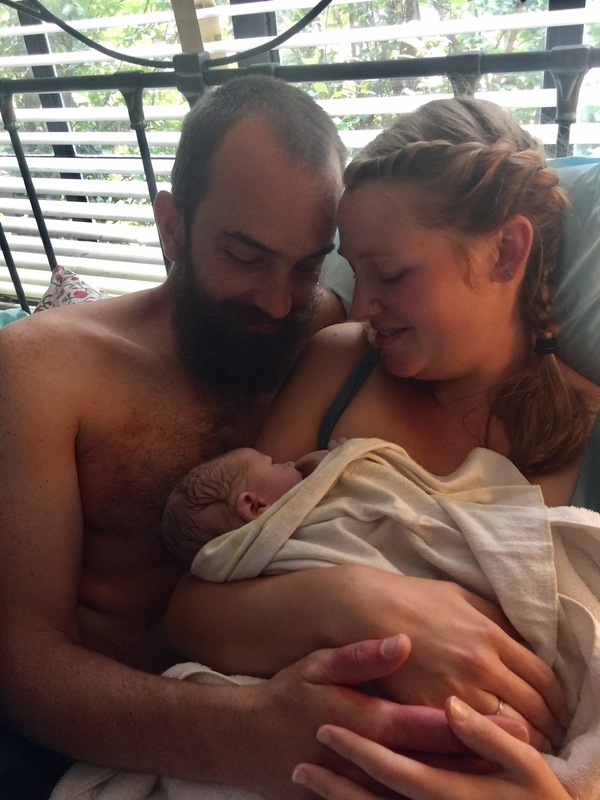 Oh, the beauty and miracle of this birth and new little life is overwhelming and magical. It takes my breath away. Sending congratulations and love to all. Great job Jessie, he is perfect! One of the other things I love about home birth (and how many are there?) is that babies born at home are the only babies being born in that particular place at that particular time. There are no schedules to be adhered to, no routine to be observed with the needs of many to be attended to. 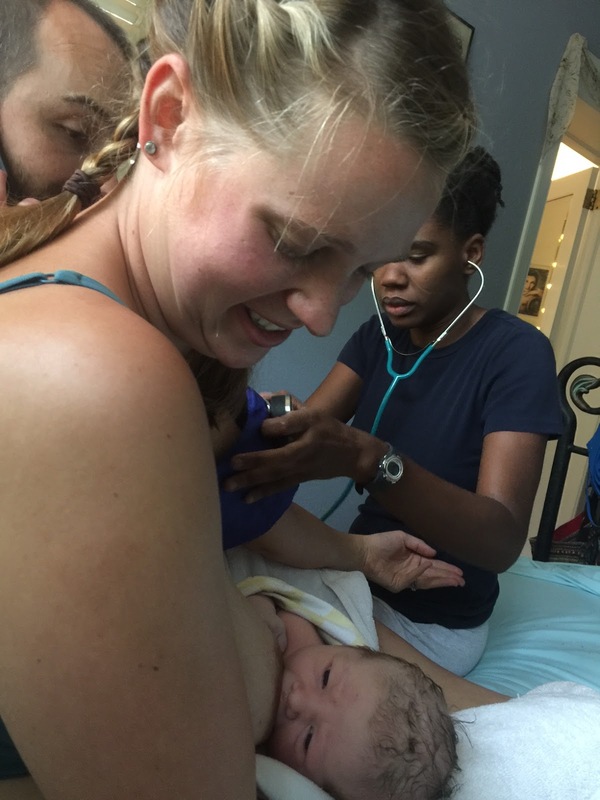 There is only the love of those who are honored to be there and the attention of the midwife and her assistants to be focused on that one baby. It's life-altering. So beautiful! All of it. What a wonderful time he's gong to have with his family, his friends, his future. Congratulations to all. I'm so excited to see who this child is going to be. I mean- he already is what he is but he hasn't told us yet. We are paying attention. 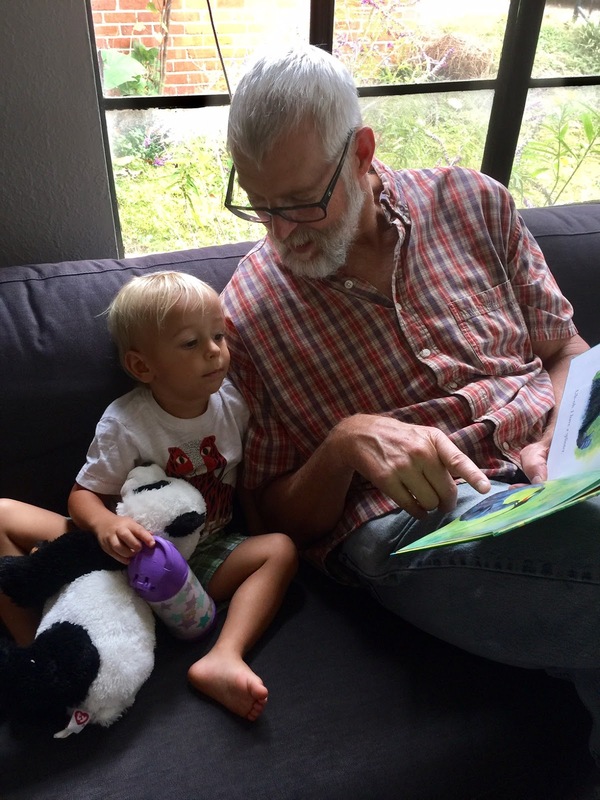 I've been wondering about King Richard all day and what a joy to come home and read this! I'm all weepy and happy and breathless too. Welcome, beautiful new human! Oh, dear Ramona- aren't we lucky? I hope you know how much I love you. Wonderful! Congratulation to your whole lovely family! Thank you, Big Mamabird. So much. Maggi- that was absolutely one of my favorite comments ever! Thank you. And I love your witchy, crone ways. Yes m'am. I think you are right. Love back from across the water to you. PS when I saw the first picture I thought "he looks just like his big brother"! Nope. He really doesn't. I can't wait to see what he looks like as time passes. Ohhhhh just goosebumps. This is so beautiful, this little boy arriving in the midst of so much love. So much love and joyfulness. Your family is just extraordinary and yes, Jessie is a radiant goddess. I’m so happy King Richard is here, safe and sound and beloved. August is going to grow by leaps and bounds now as he steps into his big brother role. Oh Mary. Wrapping you all in love. Thank you, darling sister-friend. As you know, you are most special to me and I can always feel your love. Always. I hope you can feel mine too. Now you guys KNOW you have to come back and meet this one. Right? Right? 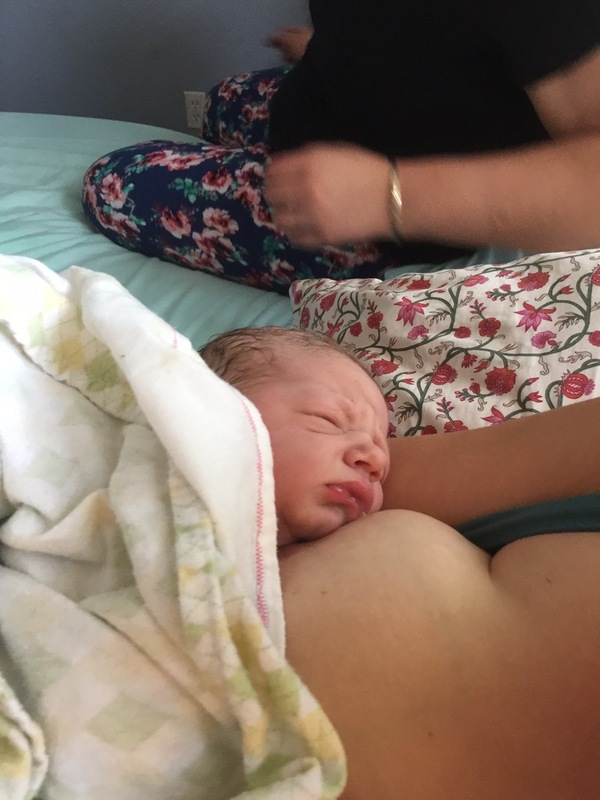 Congratulations to the whole family, but especially to mum Jessie! Yeah. I have to admit- she did all the work. And thank YOU for being here. Love back to you. A young woman I know, after having her first son at home, went to school and became a doula. She said the experience she had was something she wanted to be a part of again and again. Congrats on the arrival of King Richard, and thanks for the beautiful story of it. It is absolutely a life-changing experience. And women helping women to experience that is one of the most feminist things I can imagine. 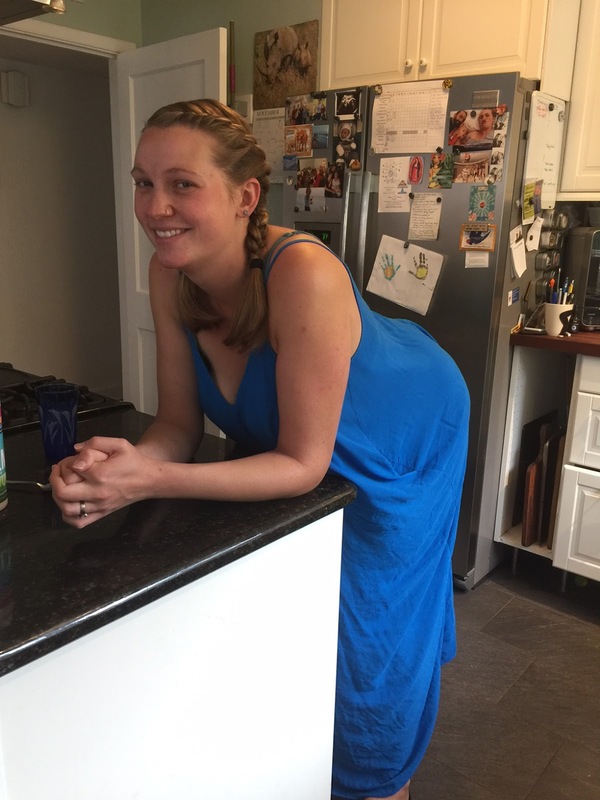 I love sharing our family stories about home birth. I hope that I am playing at least a small part in women feeling as if they too can make that choice. I saw Jessie's post on FB yesterday evening. congratulations! I wish I had had home births but at the time just having a natural birth, no drugs, which I did, was considered radical. Girl- you are right! 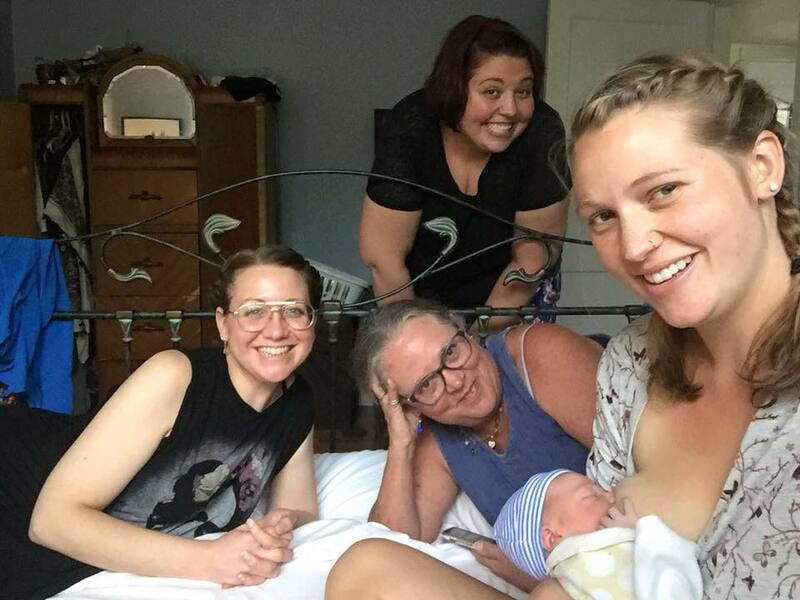 Doctors thought you were insane if you wanted an undrugged birth and they fought every inch of women taking back the power of their own bodies as they gave birth. I am proud of you. Wow! Congratulations to everyone involved, and what a beautiful post you've made to record the occasion. Seriously. The pictures are magical, especially the one of all of you smiling at the camera. I'm so glad everything went so smoothly and King Richard is here! I am so glad too, Steve! It's just an unbelievable feeling. With each of my own children's births and now with each of my own grandchildren's births, I feel reborn myself. It's a sort of miracle. Bless the hearts of all of you in the more bigger more beautifuller family! "It is the sound of the creation and deliverance of life. It is the sound of the strength of all of the woman who have ever lived." You Miss Mary Moon have a magickal way with words. Thank you, sweet person. I am so humbled to be able to say that I have been witness to these beautiful births. I wish I had the words to truly say how it feels. I do my best, but it's not enough. Congratulations! Happy birthday to the new family member! May he have a long a happy life wrapped up in all the love of a beautiful family. I will toast a great big YES to all of that. We are all gobsmacked and joyful. One day you will know exactly how this feels. Thanks, Mel. You are precious. Wow. What a beautiful post about a beautiful family---Yours! Congratulations to all. Thank you for sharing your life with your readers. It is my huge and precious privilege to share. Thank you, Denise. And back at you. I have learned so much from your sharing and I am grateful for that. He's such a doll baby. Thank you! Why Do I Inflict This Pain On Myself? He Is Officially A Keeper! Sunday On The River. Briefly.